March 13, 2017 By JRL, Esq. 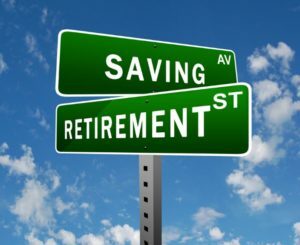 While my focus is on helping people plan their estates and protect their assets, I recently ran across this article about what to do now to plan for a better retirement. Proper estate planning is just a piece of the puzzle. As the article suggests, learning money basics and budgeting really should begin in one’s 20s and 30s. There are good books to read, such The Total Money Makeover by Dave Ramsey. The internet is full of information. Sites such as Investopedia or iInvest.org have a great deal of free information. And local community colleges typically offer courses on personal finance. During the early years, one should avoid credit card debt and start putting savings away, including an emergency funds. Starting to invest early is also important. Investments should also be appropriately diversified. During your 40s, building a relationship with a financial advisor may become important. You’ll want to rebalance retirement accounts on a regular basis. And if you have loved one’s that depend on you, life insurance becomes a critical part of the planning. Then during your 50s, the focus may shift to getting entirely out of debt. With no debt, there can be light at the end of the tunnel. Also, now is the time you can make “catch-up” contributions to your retirement accounts. Now is also a good time to review your social security record and options. Depending upon your debt situation, you may want to consider looking into downsizing you residence. Moving to a smaller home, or perhaps a condominium or townhouse, may get you out from under a mortgage. And the maintenance cost will likely be lower. If you haven’t done so already, establish your estate planning documents, including wills, powers of attorney, and possibly a living trust. If you already have these documents in place, remember to review them. Once you are into your 60s and beyond, the focus will change again. Now you will want to control your monthly expenses. This may mean moving to a smaller home, like I mentioned above, or moving to a lower cost area. You will want to shift your investing to more conservative investments. And you may even consider working a little longer, giving you access to needed health insurance and allowing you to make additional contributions to your retirement plan. Once you begin withdrawals from your retirement savings, sit down with your financial advisor to plan out your withdrawal rate. You will want it to last through the rest of your life.